If you’re in that 18 minute gap between Ty Segall-related releases and looking for something to fill the time, Drinks’ Hermits On Holiday was whipped up in your honor. While the name Drinks might not be seared into your consciousness, the evil geniuses behind the curtain might ring a bell. Tim Presley from White Fence and Welsh guitarist Cate Le Bon have joined forces to create a record that’s more strange beast than side project. 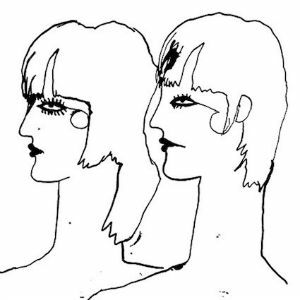 “Laying Down The Rock” and “Focus On The Street” kick things off with a mannered take on the basic psych-garage template. “Cannon Mouth” and “She Walks So Fast” head into strange jam territory that peaks with the epic weirdness of “Tim, Do I Like That Dog.” Fun is the keyword here, and the beauty of the project is that, despite their singular personalities, it’s often difficult to tell who’s soloing at any given time. The title track is the high water mark, creating something stately out of the madness within. Hermits On Holiday is not a record designed to convert pop fans, but if you’re into the genre it’s an entertaining addition to the canon, and another way to look at two engaging artists.